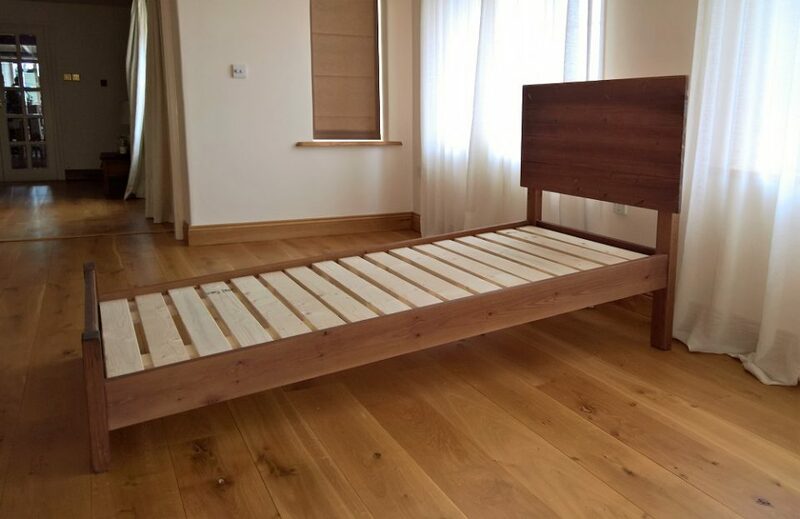 This bed has been designed to be used for inclined bed therapy. 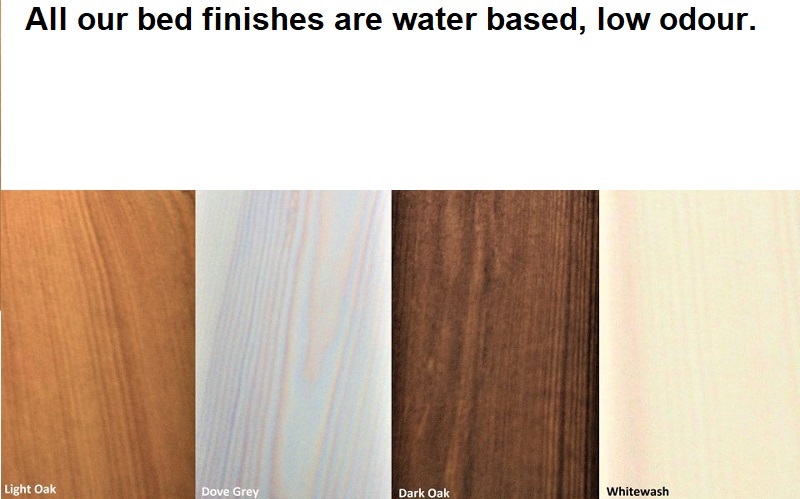 Just like all our handmade solid wooden beds made in Exeter, it has our water soluble eco finishes. 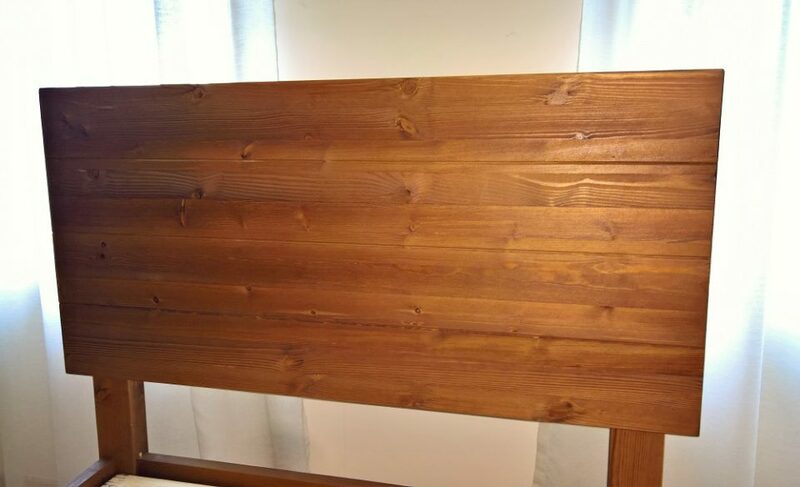 The headboard is solid wood with a tongue and groove effect. 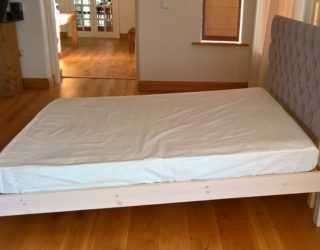 Inclined bed therapy is where one’s bed is raised at the head end with a gentle 5 degree downward slope. 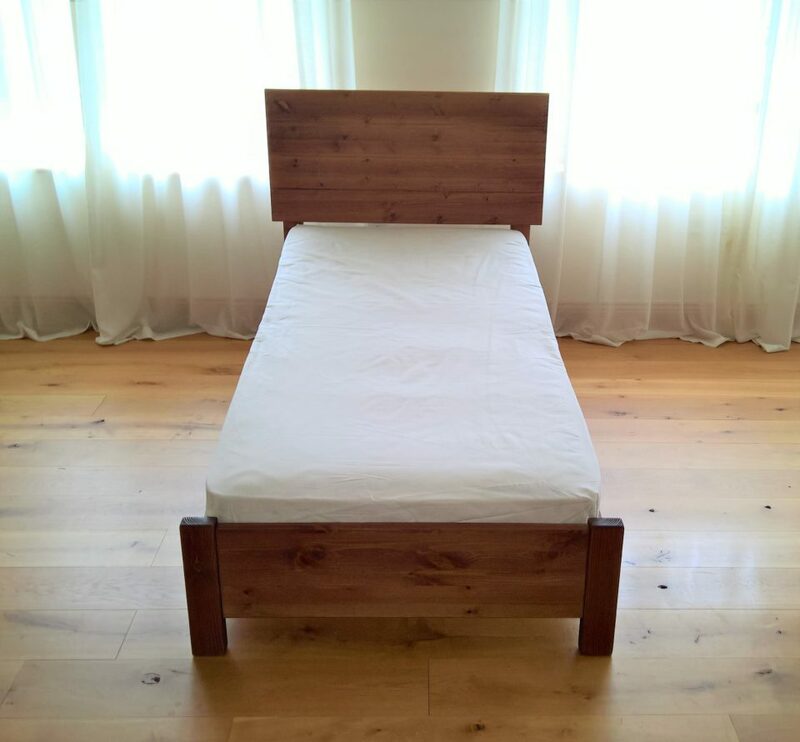 This bed therapy can be useful in disorders such as spinal cord injury, back pain, acid reflux or GERD, sinus and respiratory disorders, sleep apnea, poor circulation. 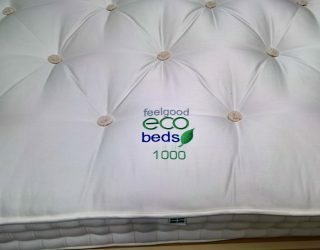 We are the first UK bed manufacturer to offer an affordable inclined bed. Gravity inclined sleeping is exactly what it sounds like. Instead of sleeping on a flat surface, the bed is at a slight incline of 5 degrees. 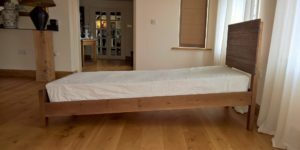 The main benefit behind inclined bed therapy is improved circulation of blood and lymph, simply by gravity. Gravity inclined sleeping also has numerous benefits on body structure. The slight incline is enough to restore the force of gravity on the body, straightening out the spine, as well as strengthening the muscles, fascia, ligaments, and tendons. Sleeping inclined may help prevent degeneration of the spine and connective tissue associated with ageing. It may also help with poor postural conditions, as well as reduce the symptoms of restless leg syndrome. In westernized countries, there is an epidemic of sleep disorders. Snoring and sleep apnea are major risk factors for about every disease due to lack of oxygen during sleep. Sleeping on an inclined bed can help to open the airway, alleviating snoring and restoring oxygen to the brain. The force of gravity from sleeping inclined may also prevents acid reflux and heartburn. 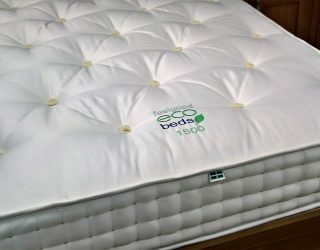 It has been shown that 5 degrees is the ideal incline for improved sleep. 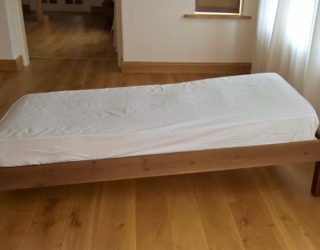 Folding just the head of the bed up with an adjustable bed frame will not work, the entire bed has to be on a slope. Hardly any bed manufacturers have embraced the idea of inclined beds and so, when we were recently contacted by a customer who asked us to make one, we decided to produce a range of affordable wooden inclined beds. 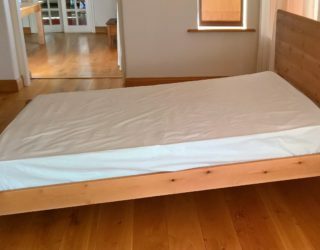 Our range of beds are all made with a 5 degree slope and have a foot board high enough to hold the mattress securely without slipping.